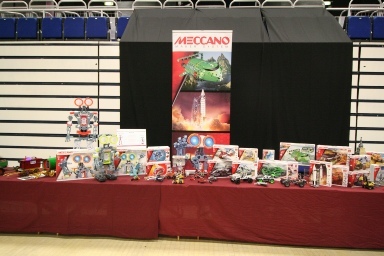 The UK’s biggest Meccano model exhibition, staged over three days. 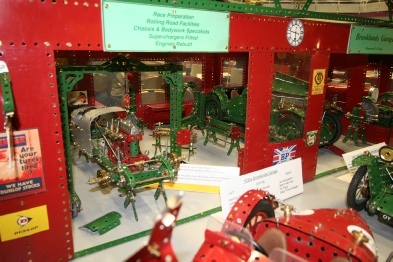 For well over thirty years people have been trekking to Skegness in Lincolnshire each summer to attend what has long been the country’s biggest exhibition of Meccano models. 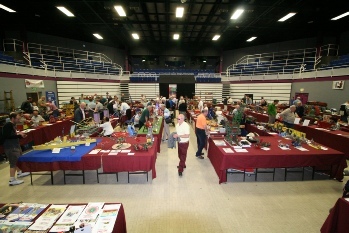 Organised by a willing band of volunteers from the North Midlands Meccano Guild this premier event draws people from many British and foreign clubs. It runs from the Friday to the Sunday, with setting up on the preceding Thursday. 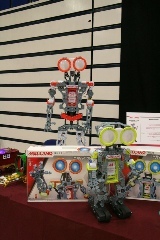 Children are especially welcome and we are proud to have a special section run by Wendy Miller to look after their Meccano interests. It also welcomes perhaps the largest concentration of Meccano dealers in the country, offering a wide range of new and collectible parts and associated items. Click for a list of just some of those to be found there. This year’s prize-winning model was a diorama of the Brooklands Garage built by Pete Evans, probably the most popular model ever shown!